Part of a scheme of works providing character and legibility to the street. 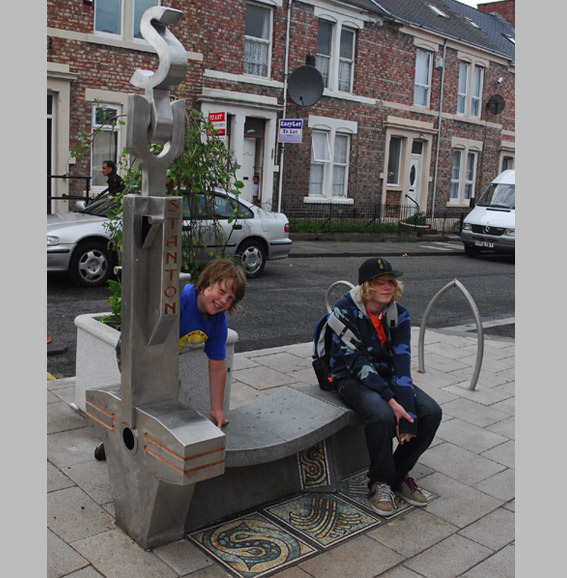 Developed while lead artist on a regeneration project in collaboration with the city highways engineers and the New Deal agency. Fabricated with Richard Farrington. Mosaics by Rob Turner.